Inside the unassuming gallery nestled in the Queen’s University campus lies a treasure trove of art, ideas, and exploration. In addition to the fascinating works of talent and creativity on display, The Agnes Etherington Art Centre celebrates the people and the communities who bring their exhibitions to life. We spoke with director Jan Allen to find out what makes The Agnes such an enriching experience for art connoisseurs and newbies alike. Visit Kingston: What do you love most about your job? Jan Allen: I love the art, and the privilege of being immersed in the art and issues relating to art every day. I also love the people I work with. We’re working with artists from across the country and the world, and art lovers and supporters. To be able to spark new excitement and create a sense of discovery for the people who come here is my challenge and my privilege. VK: What programs and exhibitions that you’ve worked on are you particularly proud of? 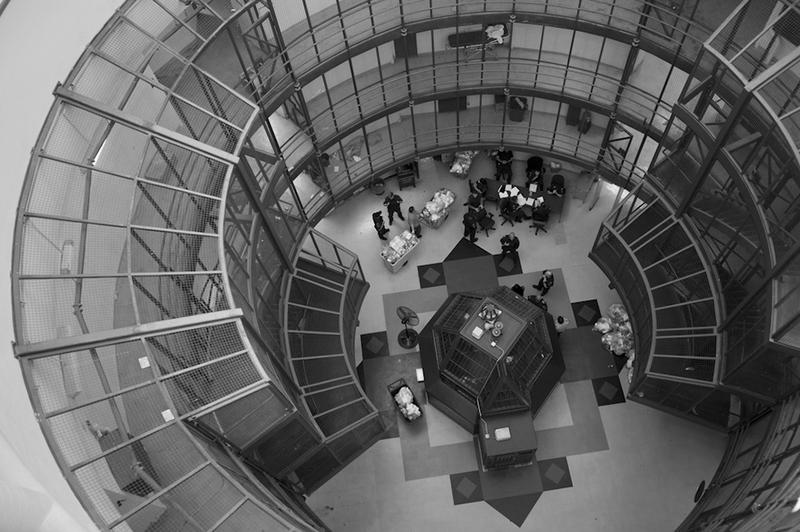 JA: One example was Geoffrey James’ “Inside Kingston Penitentiary” photography exhibition. This was a historically important show, because we were able to arrange for him to take photos in the penitentiary during its last 6 months of operation. That was a very interesting and challenging project, that resulted in a really rare document of that space in motion. Geoffrey James, The Dome from above, 2013, black and white photograph on archival baryta-coated. From the exhibition Geoffrey James: Inside Kingston Penitentiary, 30 August–7 December 2014. 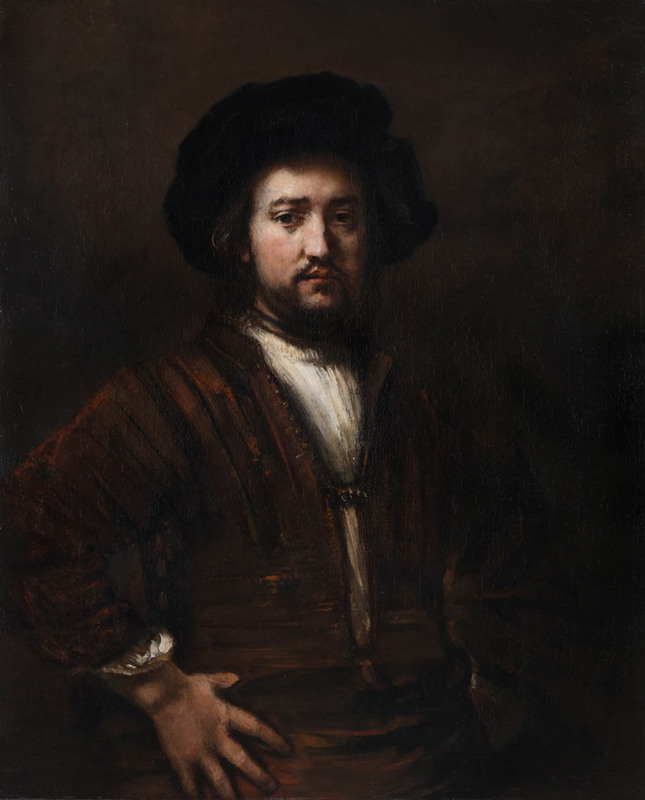 A real highlight in the past few years was our acquisition of a third Rembrandt painting in our collection, which was unveiled in the spring of 2016 . It’s a knockout – we are the only institution in the country to have three paintings by this master. Another project I was especially proud of was the recent tour of “The Artist Herself”, which is the first exhibition of Canadian historical women artists’ self-portraits ever to be mounted in Canada. At the gallery, we have a tradition of exhibiting, supporting, and interpreting women’s art. It’s also an example of the unique things people might discover here, because we’re a university gallery and have the capacity to undertake a lot of original research. 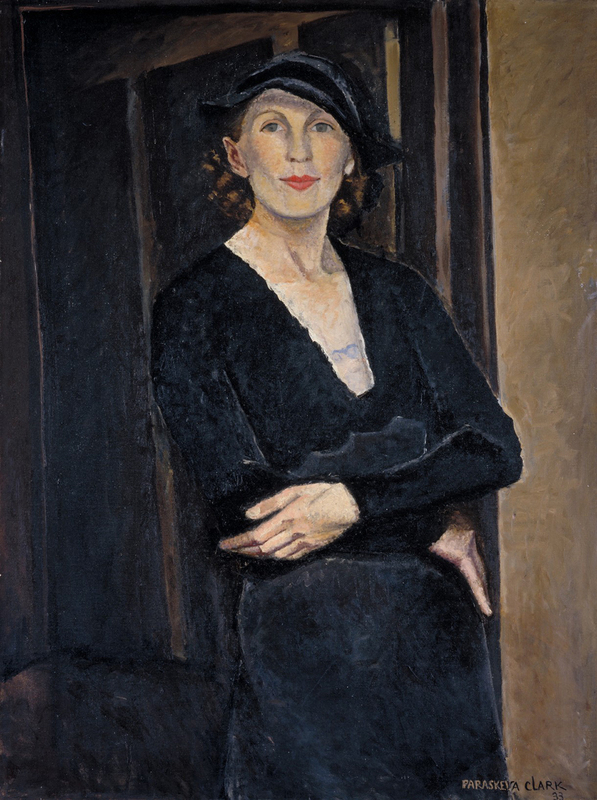 Paraskeva Clark, Myself, 1933, oil on canvas. National Gallery of Canada, Ottawa. Purchased 1974 (18311) Photo © NGC © Clive Clark, Estate of Paraskeva Clark. From the exhibition The Artist Herself: Self-Portraits by Canadian Historical Women Artists,2 May–9 August 2015. Photo via The Agnes Etherington Art Centre. VK: Is the original research a big part of the exhibitions at the Agnes? JA: Absolutely. We’re providing a lot of information for visitors, and it’s one of the special things about this gallery – we are fortunate to have four specialist curators who work in different areas. So for each collection, we’re doing original exhibitions with original research. We have also been winning a lot of awards provincially for the quality of work at our gallery. That kind of peer recognition, from the Ontario Association of Art Galleries, is really a great measure that we’re not just doing interesting shows – we’re doing important ones. VK: What exciting things are coming up for the Agnes in 2017? JA: A highlight to start off the year is called “Picturing Arctic Modernity”. It’s a set of 50 drawings that were produced by Inuit who were living on North Baffin Island in 1964. These drawings are a record of their lives during a period of great change for their people – it’s a very powerful record. Curator Norman Vorano went to North Baffin communities and interviewed some of the artists and members of the communities of origin on what these drawings are about, and what the drawings mean to them. So there will be a multimedia component of a video interview associated with each drawing in the show. 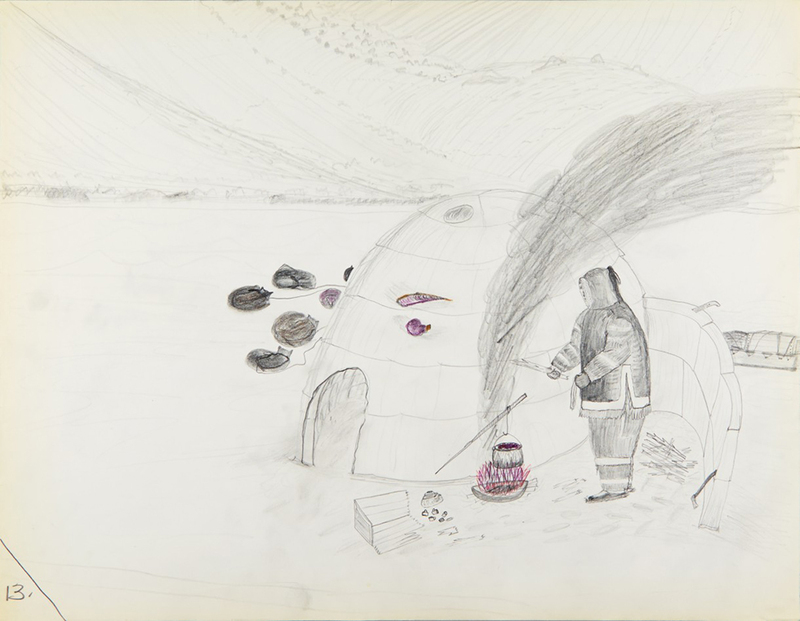 Cornelius (Kooneeloosee) Nutarak (Pond Inlet), Using Blubber to Make Fuel, 1964, graphite, pencil crayon on paper, 50 x 65 cm, Canadian Museum of History, IV-C-6952. Photo via The Agnes Etherington Art Centre. 2017 is also going to be an exciting year because of three big events: Canada 150, the 60th anniversary of the Agnes this fall, and it’s also the 50th anniversary of Gifts from Alfred and Isabel Bader, which has shaped the heart of our distinguished European art collection. Through the whole anniversary year we will be marking our strengths, while continuing to develop new projects. We’re looking back and looking forward at the same time. VK: What makes the Agnes a “must-visit” amongst Kingston’s cultural destinations? JA: One thing that people remark on is that it’s welcoming, and has a small, intimate scale. You’re really right up close to the art, and learning lots of information about it. We also change our shows three times a year, so there’s always something new to come back and see. 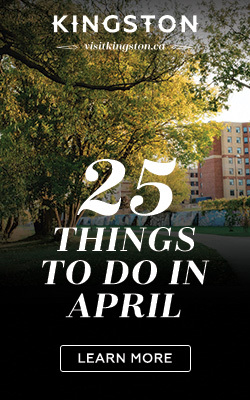 Because of the diversity of our holdings and exhibitions, there’s something for everyone. Whether you’re interested in historical European art, or say, African art, or cutting-edge contemporary shows that will shock or surprise you – there’s something for every taste.